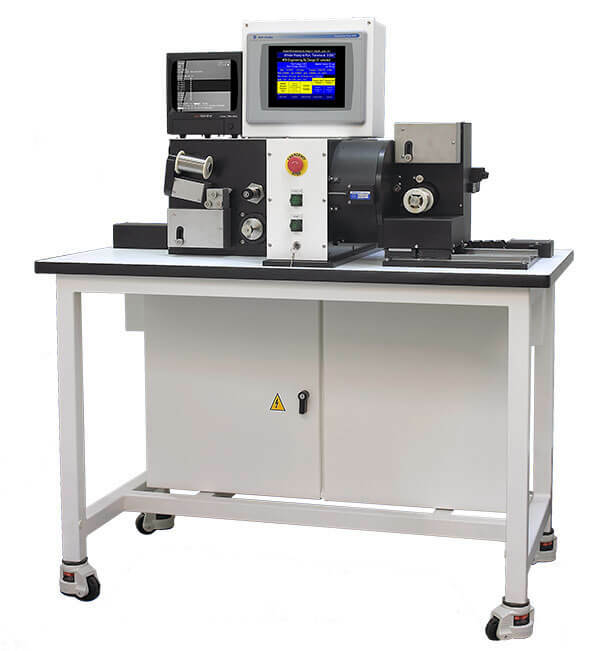 This machine winds 1 or 2 fine filaments around an axially moving mandrel to produce micro coils smaller than a hair. The mandrel is drawn continuously from supply to takeup spools as the filament spools rotate around the mandrel at high speed. After the coils are produced they are processed and eventually used for medical and electronic products. Coil stents and catheters are the primary products but the powerful programming capabilities enable the machine to produce everything from motor coils to heating elements. Anytime a small coil is needed, this machine can produce it. 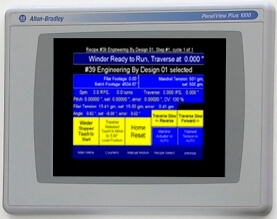 The precise control of all process variables is increasingly important, as the materials get smaller. Programmable wind tensions of less than 1 gram and wind angles of less than 1 degree require the use of control systems that were not associated with continuous coil winding-until now. The unique use of machine vision to measure wind angle without touching the filament and state.of.the.art control systems makes this the most precise machine ever. Statistical data is also reported for each run making it possible to verify product quality and use the information to refine the manufacturing process. By improving the accuracy of all controlled parameters, this machine can increase productivity through reduced rejects and faster wind speeds. The programming is flexible to allow new products to be made with the same machine. With the availability of better technology, product designers are finding they can build better products. Send us your specification and we will recommend the best solution for your needs. Note that being a premier machine design firm we can also customize your machine to your dream needs. Material Type, Production Rate, Process Configuration, All you need to do is ask!